It wouldn’t be Doom without a healthy dose of messy demon dissection, and Doom Eternal promises to give us more of exactly that. The Doom Eternal gameplay reveal at QuakeCon on Friday showcased several new glory kill moves, as well as more step-wise demon destruction on some of the larger enemies, like the flamethrower-wielding mancubus. Martin said id has tried to avoid forcing players to use specific tactics or set sequences of attacks when fighting tougher enemies, and instead want to give players the option to exploit their foes’ weaknesses in combat. 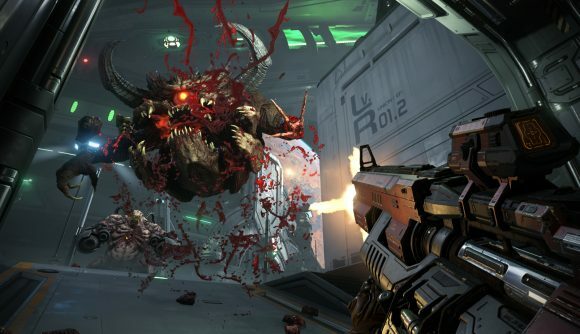 Of course, Doom Eternal will still have the one-and-done glory kills that debuted with its predecessor, and as the video shows, there are plenty of new, gory animations featuring the Doomslayer’s retractable arm blade and Meathook grapple. The Doom Eternal release date hasn’t been announced just yet, but we expect to see it sometime next year.